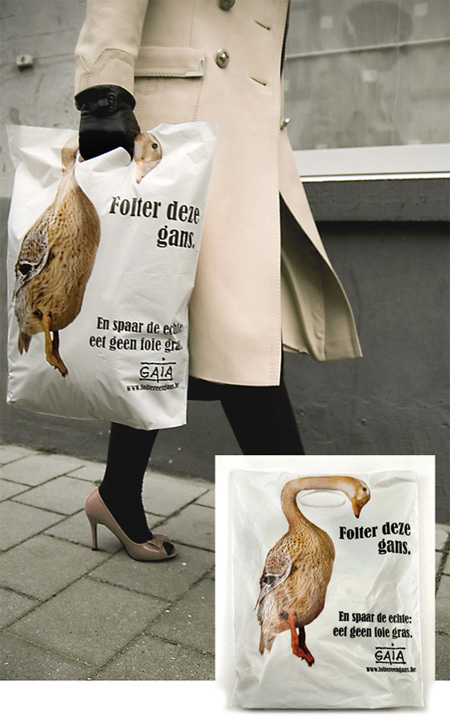 Clever uses of shopping bags in advertising campaigns by various companies. 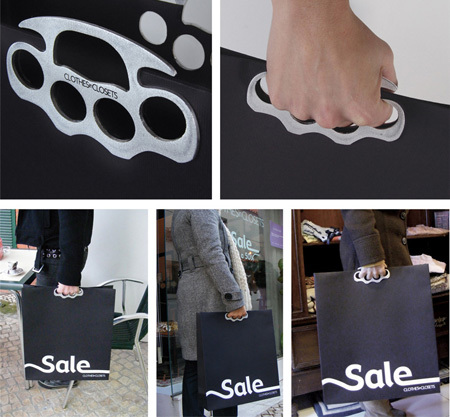 Knuckle shopping bag designed by Leo Burnett Lisbon ad agency. 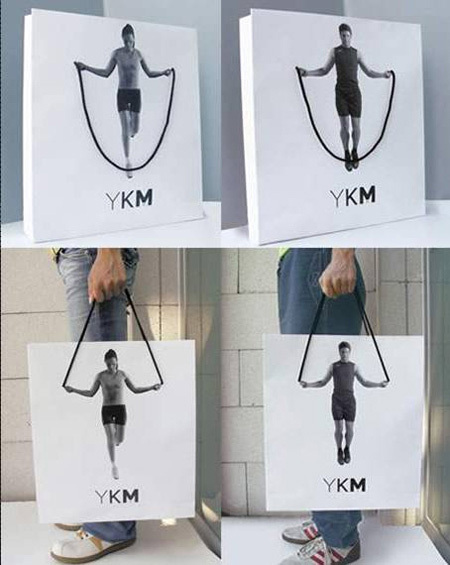 Clever shopping bag that will either inspire you to get in shape, or inspire you to carry a bag in front of you wherever you go. 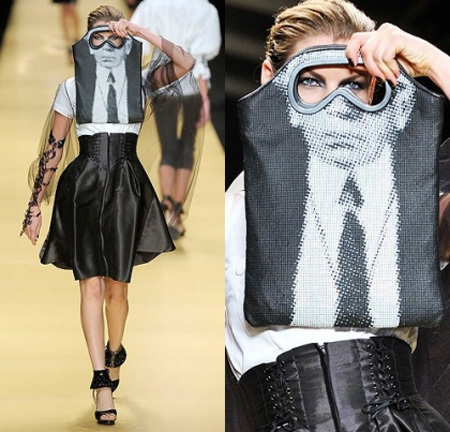 Mask shopping bag designed by Karl Lagerfeld. 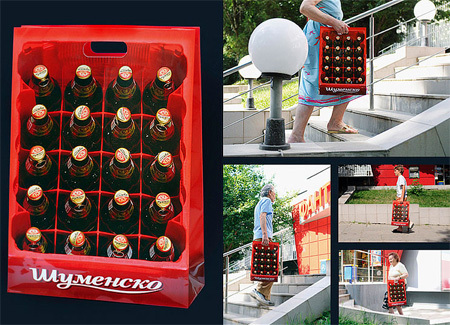 Clever shopping bag designed to promote Bulgarian beer. 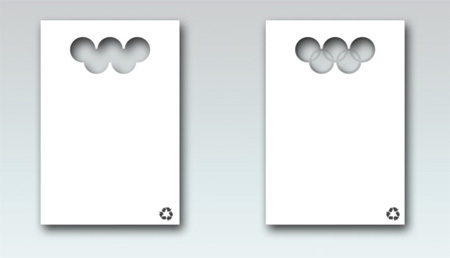 Paper carrier bag design by Tao Ma for Olympic Games. 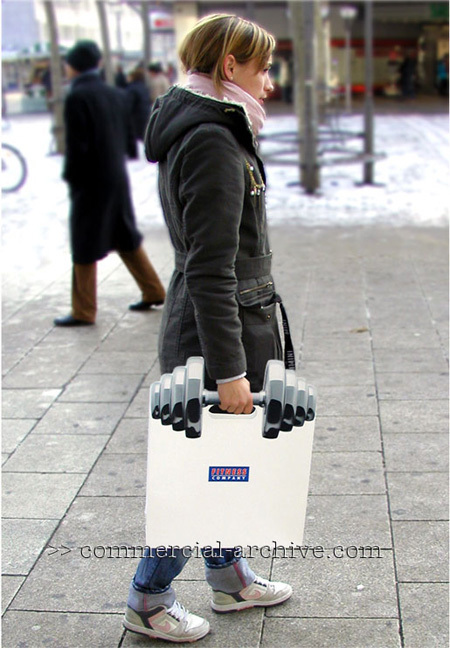 Shopping bag idea and design for Hurriyetoto.com, a major automobile sales web site of Turkey. 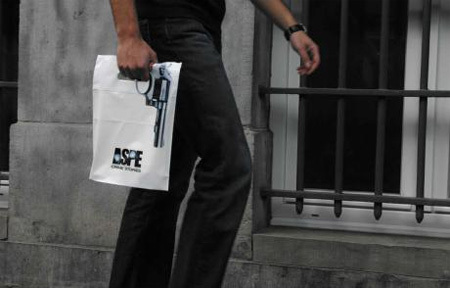 Creative bag was given when you bought a book by Belgium’s most famous crime writer. 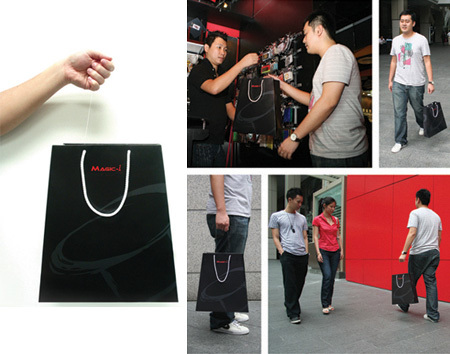 The handles of the shopping bag are made of transparent fishing line, wich makes it look like it is being held without handles. 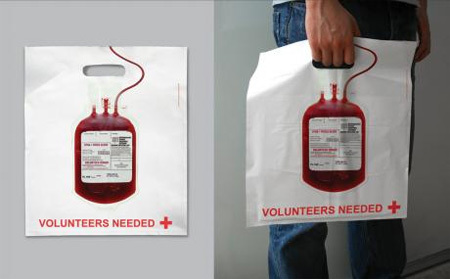 Creative Red Cross shopping bag by Lem advertising agency. One word. WOW. I love the skipping rope and the fitness company one. 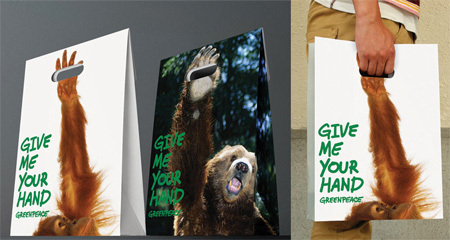 I like the greenpeace and the gun bag, and the magic bag is too cool! I thought the crate of sodas was real! I LOVE THE HEADHUNTER!!!!! It’s hilarious. Wow, great marketing~! These will definitely draw attention! Love these! Nice to see them collected in one place. Don’t care for the magic floating bag, though. It looks cool, but fishing line would cut into the hands of the person carrying it, and that’s not nice. I prefer comfortable-to-use cleverness. I love the Karl Lagerfeldt shoppingbag. But rumor tells me it costs € 900. I’m missing IKEA’s bag with a word ‘DESIGNER’ and an arrow pointing upwards at the person carrying it! 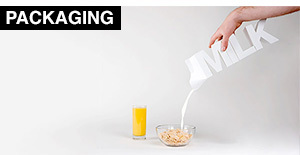 very inovativeespecially the soft drinkcrate bag. The gun bag would be a pretty good way to get shot by the police… If they can mistake a pear or a bible as deadly weapons in the heat of the moment, then it’s quite possible – awesome design though!!! Very nice, I like the headhunter one the most. cool collection. 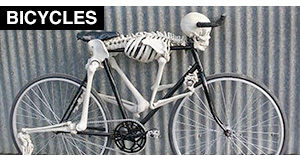 =) i want one! How awesome… what a great collection! 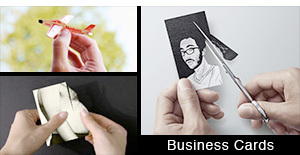 Very clever marketing, my favorite is the hand weight. Does any else find it odd to see one on a catwalk in a fashion show? 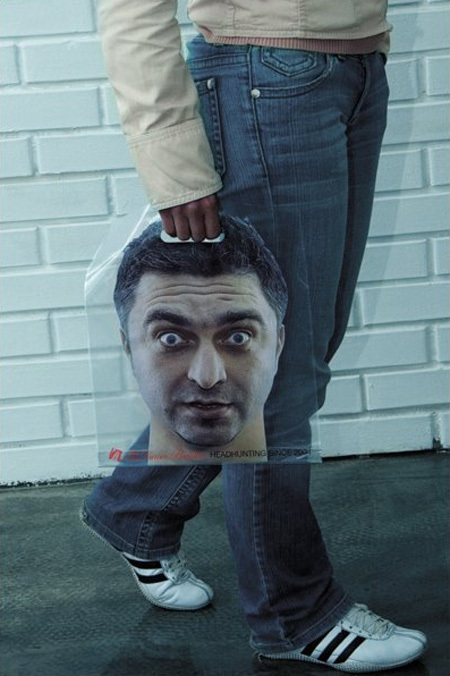 Amazing creative ideas for shopping bags! This is a very good fashion article!! 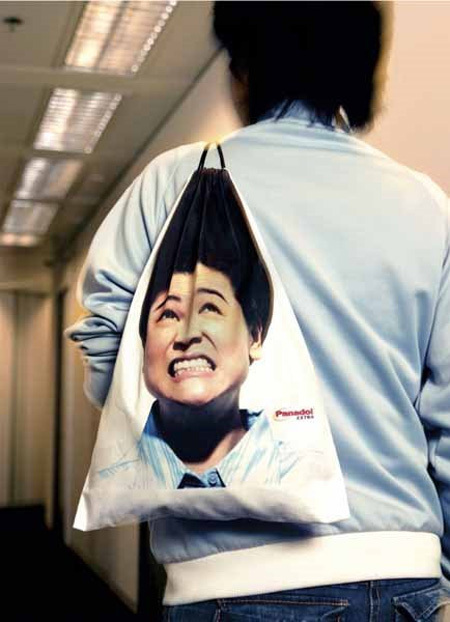 these is really an awesome collection of bags… what a creativity !! wow lov see more from your side. Great bags. How come I haven’t ssen any of these on my streets? And of course – more than likely all of these stores are either in Europe or the west coast of the USA. NEVER see anything neat here on the East Coast!! the knuckle dusters are by far the best. The fishing line one’s pretty stupid, if you put any decent weight in the bag, that things going to start slicing into your hand. You’re absolutely right altoluther.sometimes design is only good for seing and can’t serve the right purpose. 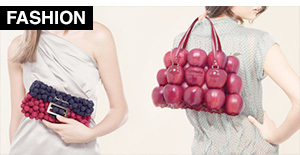 I love the bags especially the fitness one and the ones where it looks as though you have your hand in their mouth! 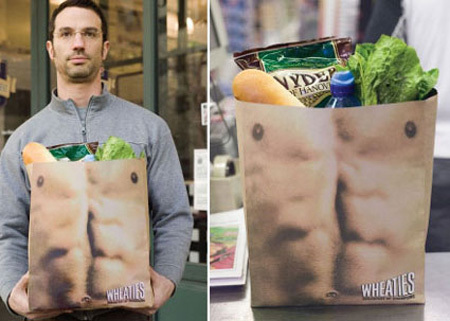 Oh I think my fav is the male 6 pack lager bag!! the Karl Lagerfeld Shopping Bag is the best! that is simply spectacular, incredible as the advertising if it can conjugate with the spectator I loved, perfect. Funny, brilliant and inspiring! Thank you! Can I make some’ like those??? So sad… :p 4 thombs up!!! 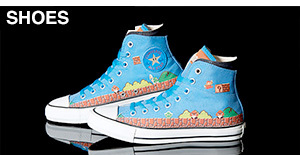 OMG those would be awesome to see in stores and stuff! awesome! i will like to have all of the bags!!!!!!!!! so nice…artistically made! I like all those bags. lolol tht was great you folks put a big smile on my face and for tht i thank you very much ..bye..
carry bags. all are amazing. Wow these are awesome! 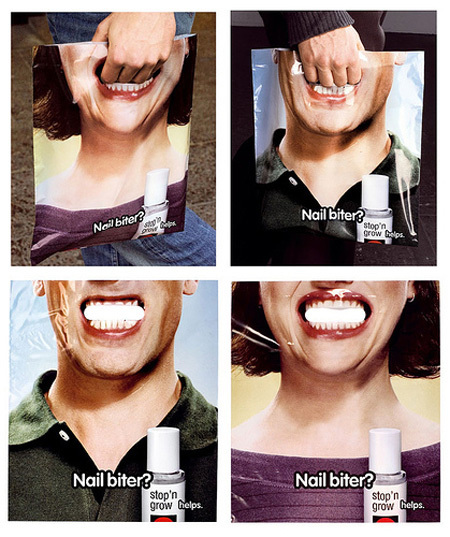 Very clever ideas for advertising. They would defiantly tune heads when you are walking down the street! Between the abs shopping bag and the blood donation bag, what a great collection. 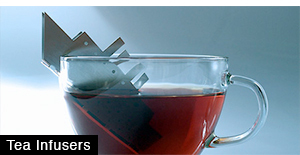 Genius designs. I’m drafting shopping bag designs at the moment, and this is very inspiring. i really like it. its splendid. will do the same with my project in uganda…….. I had to find bags for a class i have in college. This post truly helped me complete my task in a faster matter. We had to find bags with interesting handles and designs that weren’t just the logo. Thank-you a million. What company created these designs and printed these bags???? I want some! where can I purchase these bags?? My Favorite is the nail bitter, very creative! Does this level of creativity really exist.